In the later ’80s, I had the privilege of interviewing a quiet and gentle man who worked isolated on his canvases in the terrace studio of his home, near what was formerly the Metro Cinema, in Mumbai’s Dhobi Talao area. 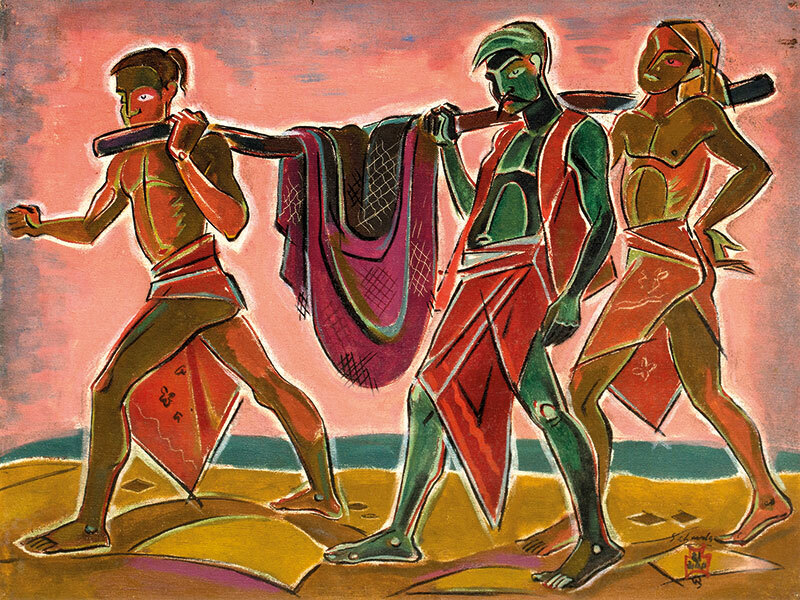 By the time of our meeting, Shiavax Chavda (1914-1990) had already made a name for himself in artistic circles. As early as 1956, he had been honoured as one of the Nine Eminent Artists of India by the Lalit Kala Akademi. His works today grace collections of the Victoria & Albert Museum, London; The National Gallery of Modern Art, New Delhi; museums in Baroda, Nagpur and Budapest; the Bhabha Atomic Research Centre; Tata Services; Godrej Boyce & Co, apart from several other private and public collections worldwide. 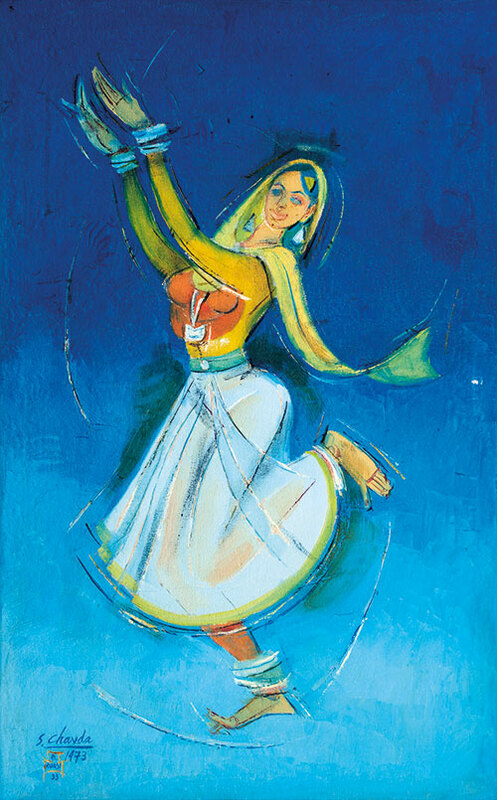 Surrounded by a multitude of canvases in a myriad colours that lined his workspace, Chavda told me of his varied interests in dance, theatre, opera and music, all of which found expression in his paintings. His wife Khurshid was an accomplished Bharatanatyam and Kathakali dancer, one of a famous trio of dancers at that time. In concerts, armed with a tiny torch, Chavda sat in the audience in the dark, deftly and unerringly sketching changing forms and postures as she or other Indian and classical ballet dancers danced to their heart’s content. The artist was influenced early on by two great artists, Professor Randolph Shwabe and Russian stage decor artist Vladimir Polunin. Chavda had been a colleague of Leon Bakst and Picasso, who designed the decor for Diaghilev Ballets Russes in the Russian Imperial Ballet. He revealed that he counted the renowned ballerina Margot Fonteyn and violin maestro Yehudi Menuhin as his muses, both of whom he captured incessantly in his ubiquitous sketch pad. Annual exhibitions at the now-defunct art gallery at the Taj Mahal Palace Hotel and at the Pundole and Jehangir art galleries were regular events, graced by the smiling Chavda dressed in his uniform white kurta-pyjama. His renowned dancers of various cultures, portraits of tribals, paintings of farm animals inspired by Mughal techniques, birds and even fish and snakes proved a sure draw. In later years, the energy, action and movement of these lines were distilled into abstract and semi-abstract works. It is time now for the city to revisit Chavda’s work and discover his genius once again.